Thousands of customers have been using iPulse to keep an eye on their Mac’s performance since it was introduced back in 2002. Now, the first app to display system status is optimized for Mojave! 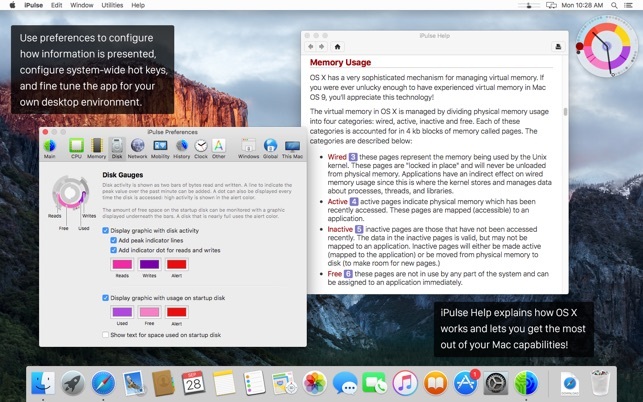 Using its concise and appealing user interface, iPulse graphically displays the inner workings of macOS on your desktop, menu bar or Dock. The presentation is totally configurable so you can set exactly what you need and view it just the way you want. 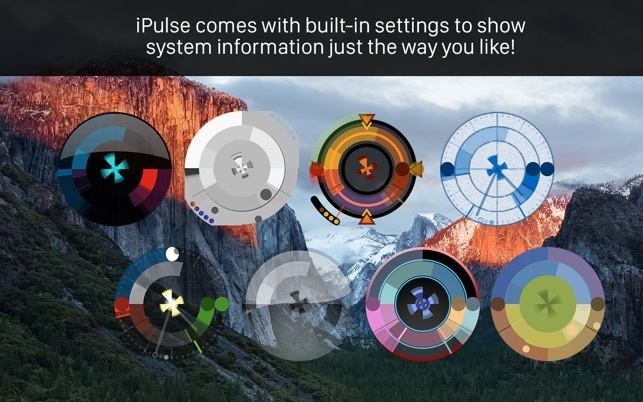 iPulse comes with ten built-in presets that let you quickly choose a setup that works best for your needs. You can also download new looks from the Iconfactory website. Check out the different configurations in the screenshots below! The app is fully compatible with "rootless" System Integrity Protection: it's designed to use system resources efficiently and securely. I was hoping for more information, e.g. temperatures (yes, if I were to pay more attention to the description...). That is the problem with things you cannot preview. 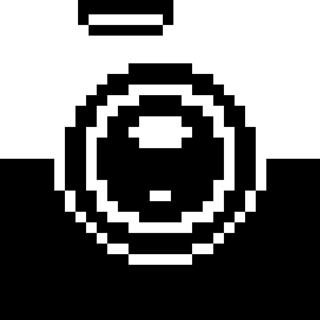 It is only after downloading and running that I realized what the circle icon did and that is pretty much all it does. You can click on the icon and see details, but selecting where to click is problematic to see what you want to see. You have to get used to the colors or to the “o’clock’ position to click. I suppose once one gets used to using it 24/7 for a few weeks, it becomes more user friendly but I am not that patient, sorry. iPulse has been my “go to” system monitor for years. I was thrilled to learn that not only would it be supported Mojave, but actually re-written and improved! The compact presentation is wonderfully data-rich. 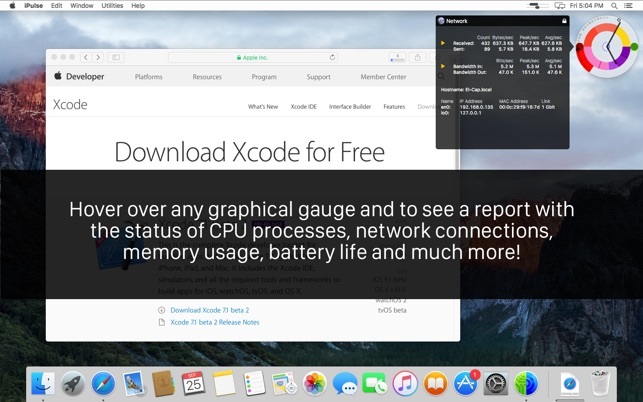 It get’s many positive comments from others, and helps to quickly highlight any potential performance anomolies with your Mac. I strongly recommend iPulse!